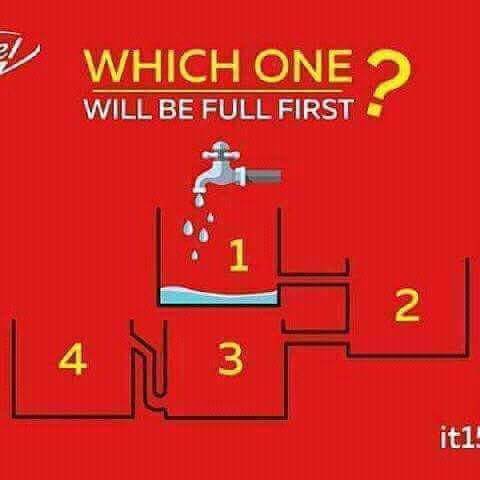 Today's Riddle: Which Jar would Get filled first?? Which of the jars will get filled first??? 1, 2, 3 or 4?... comment your answer below.